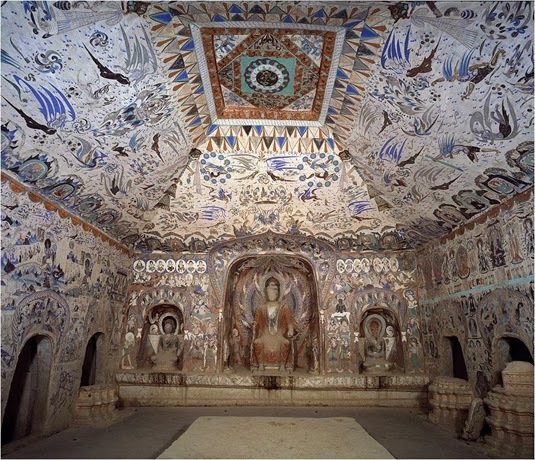 Over a thousand years ago, a chamber had been sealed in a cave on the edge of the Gobi Desert outside the town of Dunhuang in Western China. The said chamber contained more than five hundred cubic feet of heaped manuscripts which lay hidden for hundreds of years. 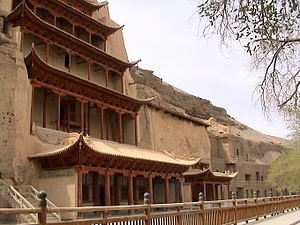 The room which came to be called the Dunhuang Library was finally opened in 1900 which gave way to remarkable archaeological discoveries of the twelfth century estimating to 40,000 manuscripts, booklets, scrolls, paintings on hemp, silk and paper, besides Tutankhamum’s tomb and the Dead Sea Scrolls. In the middle Ages, this city had been a flourishing city and was famous as a center for Buddhist worship where pilgrims from distant places came to visit the cave shrines. These shrines comprised of various lavishly decorated caverns which were carved into cliffs on the outskirts of the city. 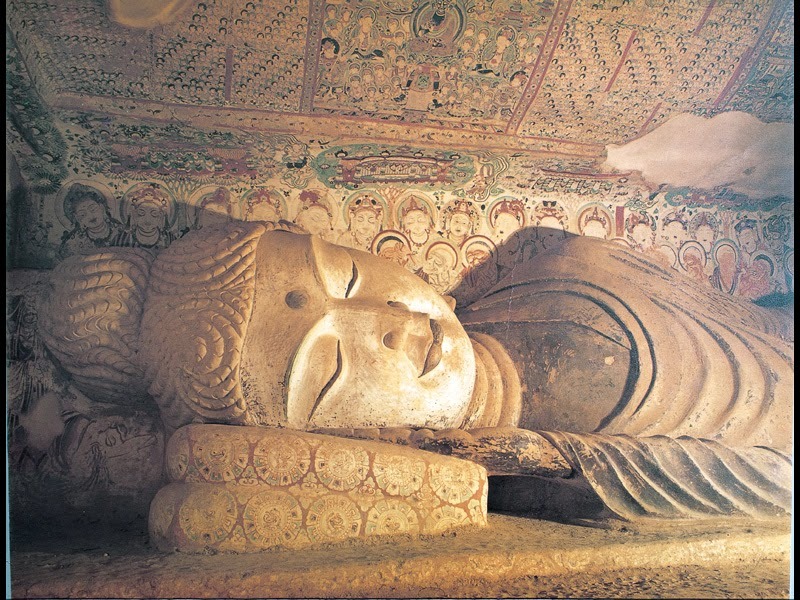 The treasure of these caves were probably collected between the ninth and the tenth centuries AD, by Tang and Song dynasty Buddhist monks who could have carved the cave and then heaped them with the ancient manuscripts which varied from philosophy and religion, history and mathematics, folk songs and dance. In the early 20th century, this city became the backwater with its caves in need of repairs and Wang Yuanlu an itinerant Taoist monk took upon himself to be its caretaker. The library was discovered by accident when one day, he notice his cigarette smoke wafting towards the back wall of a large cave shrine. This led him to curiosity and he knocked down the wall and found to his amazement a heap of documents piled above ten feet high in the cave. Though he could not read the ancient text, Wang knew that he had found something amazing of great significance and got in touch with the local officials and offered to send the findings to the provincial capital, but they being preoccupied with the Boxer Rebellion and strapped for cash denied him any support. Soon the news spread about the discovery along the Caravan routes of Xinjiang and the Hungarian born Indologist and explorer Aurel Stein, who was in the midst of his second archaeological expedition to Central Asia got to know about the same and rushed to Dunhuang. 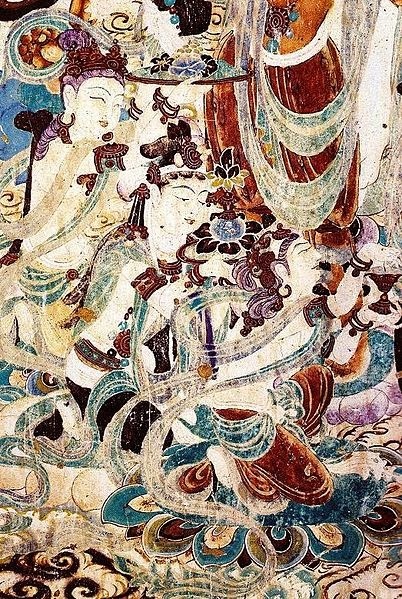 Stein on rushing to Dunhuang had to wait for two months before finally meeting Wang where the negotiation for the manuscripts seemed to be very delicate. Wang was careful in not letting the documents fall out of his sight and felt uncomfortable about selling the same. Stein persisted in persuading the monk by invoking his patron saint, Zuanzang, a Chinese pilgrim who had made a journey to India in search of religious text toward the seventh century and claiming to be his follower he managed to convince the monk to sell some of the manuscripts and painted scrolls for a hundred and thirty pounds. 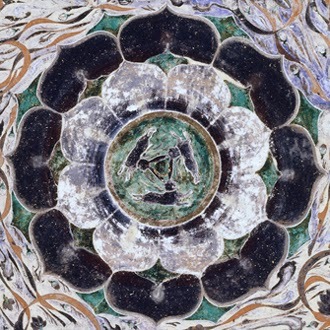 From the inscriptions, it is understood that the original librarian in the cave was a Chinese monk called Hongbian who was the leader of the Buddhist community at Dunhuang and in 862, after his death, the cave was consecrated as a Buddhist shrine with his statue, while some of the manuscripts thereafter could have been left as offerings. Some were of the opinion that as other caves were emptied and reused, the storage overflowed and could have ended up in Cave 17. Cave 17 being one of the many 500 manmade caves was known as the Magao Ku or Mogao Grottoes, dug into cliff of approximately 25 kilometers southeast of the town of Dunhuang, northeastern China in Gansu province having an oasis which was an important cultural and religious crossroad on the well known Silk Road. From the five cave temple complexes, Magao Cave complex in that region were excavated and maintained by the Buddhist monks till they were hidden and sealed until they were rediscovered in the year 1900.The variety of the scripts and languages that have been found among the manuscripts are of multicultural nature of the region during the 1st millennium AD where the major part of the manuscript was written in Chinese in classical and to a lesser extent, in vernacular Chinese. Moreover most of them included Buddhist text written in regular script or Kaishu and others in running script or the cursive Xingshu. 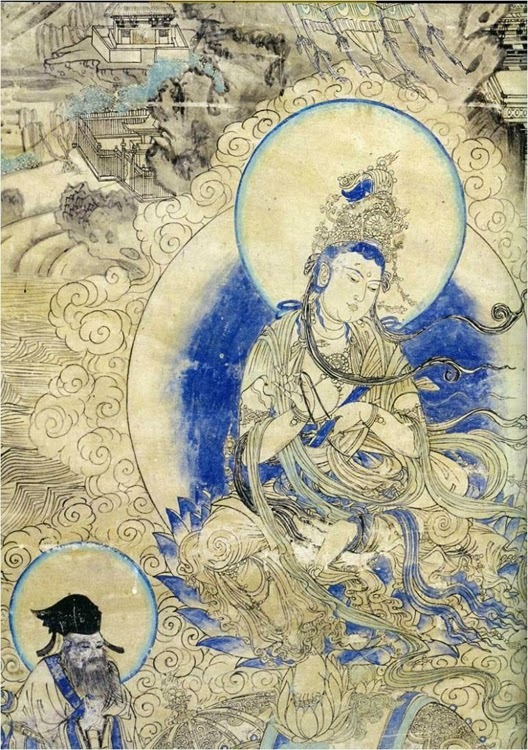 One amazing feature of the manuscript from the 9th and the 10th centuries was that they appeared to have been written with a hard stylus instead of a brush which was due to the lack of material for constructing brushes in that town after the Tibetan occupation towards the later part of the 8th century, according to Akira Fujieda. These manuscripts are some of the earliest samples of Tibetan writing, where some of the styles portray the later Uchen and Ume script styles. Besides Aurel Stein who visited the caves in 1907 – 1908 and the French sinologist, Paul Pelliot, there were others like the American Langdon Warner, Russian Sergei Oldenburg and other explorers and scholars who visited Dunhuang, taking with them relics which are now in museums all around the world. Research on paper making and inks by Richardin together with his colleagues was done on two of the manuscripts from the Pelliot collections in the National library of France which were collected from Cave 17 by Paul Pelliot in the early 20th century. 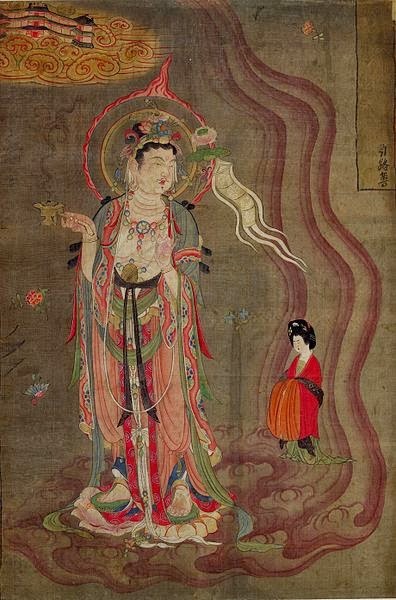 The inks utilized in the Chinese scripts contain reds which was derived from a mixture of hematite and red with yellow ochre. 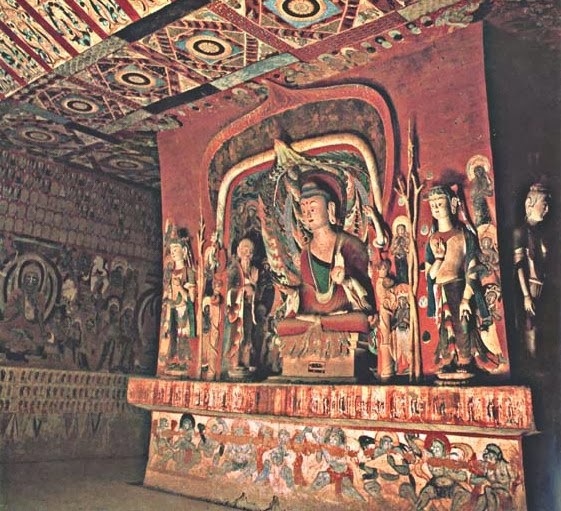 Red paint on the murals of other Magao caves were made of ochre, synthetic vermillion, cinnabar, organic red and red lead while black inks was made of carbon with a combination of ochre, calcium, quartz, kaolinite and carbonate and the wood from the papers in Pelliot collection had salt cedar. Resent study in environmental issue with regards to the ambient air quality on the scripts with the ongoing deposit of sand from surrounding areas in the Magao caves indicate threats to the Library Cave as well as the others caves surrounding it.